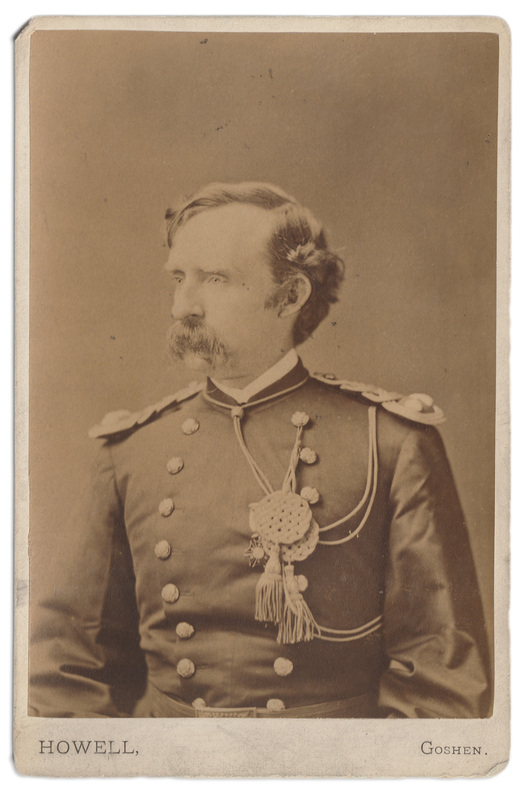 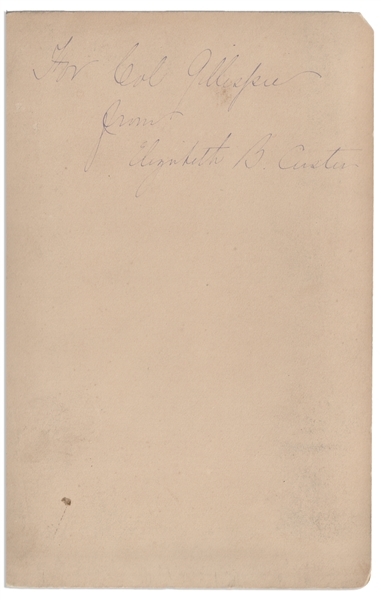 Large cabinet card of General George Custer, signed and inscribed on the verso by Custer's wife Elizabeth Custer to Medal of Honor recipient Colonel George L. Gillespie, Jr. Mrs. Custer likely dedicated the photo to Gillespie sometime after Custer's death at Little Bighorn in 1876. She writes, ''For Col Gillespie / from / Elizabeth B. Custer''. Gillespie received the Medal of Honor for his bravery during the Battle of Cold Harbor, and would ultimately attain the rink of Major General. Cabinet card measures 4.25'' x 6.5''. 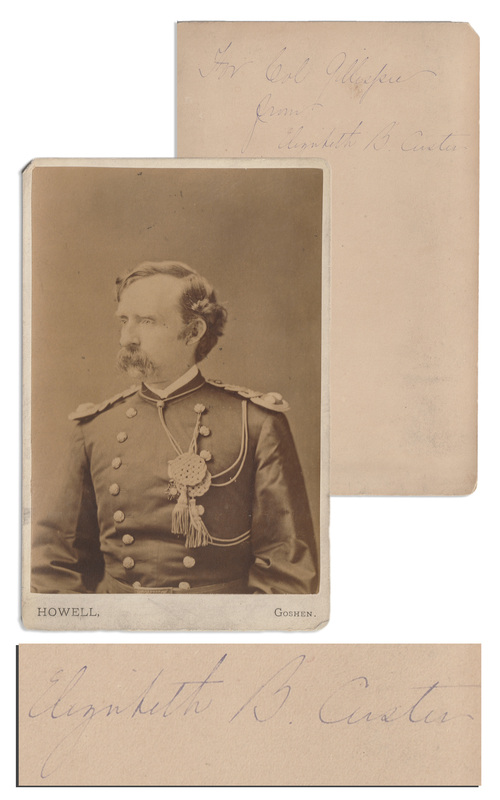 Minute wear, overall very good plus condition.